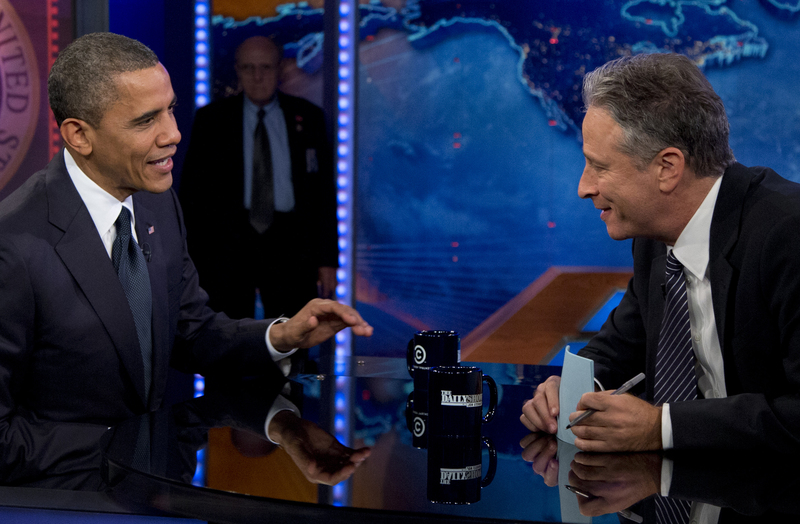 In an appearance on "The Daily Show with Jon Stewart", President Obama told the Comedy Central host Thursday that the response to the Sept. 11 terror attacks in Benghazi, Libya was "not optimal." Stewart told the president, in regard to the administration's performance in the aftermath of the attacks, that "I would say and even you would admit it was not the optimal response - at least to the American people as far as all of us being on the same page." "Here is what I will say, if four Americans get killed it is not optimal," the president responded. "And we are going to fix it, all of it. And what happens during the course of a presidency, you know the government is a big operation at any given time, something screws up and you make sure you find out what's broken and you fix it." The president's "optimal" comment seemed to be a reference to Stewart's characterization of the response, since he used the same word. Some, however, have taken the comment to mean the president was saying the deaths themselves were "not optimal." The president continued in the interview: "And you know whatever else I have done throughout the course of my presidency, one thing that I've been absolutely clear about is America's security comes first and the American people need to know exactly how I make decisions when it comes to war, peace, national security and protecting Americans. And they will continue to get that over the next four years of my presidency." When Stewart referenced "the perception that State was on a different page than you," noting that Susan Rice, the American ambassador to the United Nations, erroneously tied the attacks to protest over an anti-Islam video five days after they took place, the president interrupted him. "John, the truth is that information comes in, folks put it out throughout the process, people say it is still incomplete," he said. "What I was always clear about was we are going to do an investigation and figure out what happened." Asked what caused the confusion over the attack, the president responded: "Well, we weren't confused about the fact that four Americans had been killed, I wasn't confused about the fact that we needed to ramp up diplomatic security around the world right after it happened, I wasn't confused about the fact that we had to investigate exactly what happened so it gets fixed and I wasn't confused about the fact that we were going to hunt down whoever did it and bring them to justice." "So, as I said during the debate, nobody is more interested in figuring this out than I am," he said. "When a tragic event like this happens on the other side of the world immediately a whole bunch of intelligence starts coming in and you try to piece together exactly what happens. And what have always tried to do is just get all the facts figure out what went wrong and make sure it doesn't happen again and we're still in that process now. But every piece of information that we got as we got it we laid it out for the American people, and the picture eventually gets fully filled in and we know how to prevent it in the future." Stewart also asked whether the president had changed during four years in office and whether he still believes "we don't have to trade our values for our security." "We don't, there's some things that we haven't gotten done, I still want to close Guantanamo, we haven't been able to get that done," Mr. Obama responded. "One of the things that we've got to do is put a legal architecture in place and we need congressional help to do that to make sure that not only am I reined in, but any president's reined in in terms of some of the decisions that we're making." "Now there's some tough trade-offs, I mean there are times when there are bad folks somewhere on the other side of the world and you've got to make a call and it's not optimal," he continued. "When you look at our track record as to say we've ended the war in Iraq, we're winding down the war in Afghanistan we've gone after Al Qaeda and it's leadership, it's true that Al Qaeda is still active at least remnants of it are staging in North Africa and the Middle East, and sometimes you've got to make some tough calls, but you can do so that is consistent with international law and American law."